Over 20 years in business Motor Drive Express aims to be the most comprehensive online store for all your Industrial Drive needs. 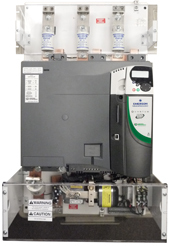 We stock and have access to a wide varity of AC Drives and DC Drives from many well known manufactures like Emerson, Yaskawa, Hitachi, SAF Drives and Baldor in a wide range of horsepower and voltage configurations. This combined with our excellent pricing, product knowledge and customer service makes us the best one stop store on the web. 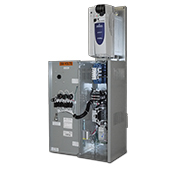 Major manufactuers state of the art 3 contactor bypass controls for pumps, fans and cooling tower motors. 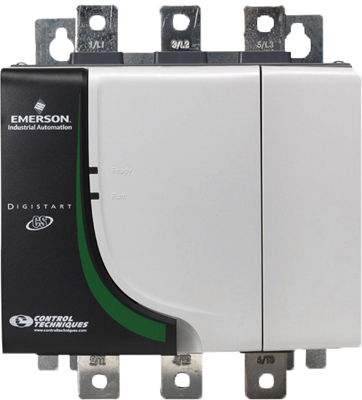 These controls range from 1-600HP and can be used with building automation systems or stand alone motor controls. Soft Starters are a simple and economic method of controlling AC motors for fixed speed applications. Multiple manufactures from 5 to 2000hp.